Divine your spiritual path through the esoteric wisdom of the Tarot. A fully illuminated oracle of classic Alchemy imagery. 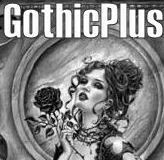 If you want a one of a kind "WOW" piece, Alchemy Gothic is the place to get it. Not only are you getting a unique and quality product, but a finely detailed and crafted piece of timeless artwork. Deco Gothique' is the latest development from Alchemy Studios' creative minds; a unique fusion between the exotic, classic 1920's vintage paradigm and the dark recesses of cognitive morbidity. Now, Alchemy 1977, the UK's all-round alternative lifestyle couturier, offers you its experienced creative craftsmanship and a much enhanced choice to assist you to refine and indulge your own personal tastes. Item Number: AG-CARD7 | Approximate Size (Inches): 4.00 wide x 2.00 deep x 9.00 high | Approximate Shipping Weight: 0.50 lbs.